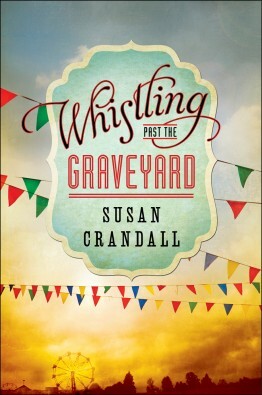 "Like Harper Lee's To Kill a Mockingbird and Kathryn Stockett's The Help, Whistling Past the Graveyard is destined to become a classic." No. No. I was nothin'. And I'd been bad. But I paid. Paid and paid before Wallace save me. Our upstairs is hot as the hinges of Hades... I kinda hoped when Mamie got home late this afternoon, she'd find me passed out from heatstroke. The colored don't choose to live here. It's where they're allowed to live. I was horrible thirsty, but I didn't take it; Mamie had made it clear: no matter even if we're about to expire from thirstiness, we don't drink after negras. Remeber when we was bakin', and what I say about overworked crust? You and me, we done pushed our luck 'bout as far as a body dare. We overworked crust. Starla Claudelle, the main character for Whistling Past the Graveyard, had been whispering in my ear for months before I finally allowed her to tell her story. I was working on another novel at the time, and I leave no novel unfinished—until now. Starla was so stubborn and intent on doing what she thought was right that I finally relented, closed the file of my half-finished novel (a bit of a relief actually, as it was giving me fits—humm, I wonder if that was Starla’s doing too?) and started working on Whistling Past the Graveyard. So began an adventure for both novelist and character. As a novelist, I was embarking on a project unlike any I’d previously written. There was no guarantee any publisher would want to publish it. And yet, it was clear to me from the beginning, Starla was going to tell her story in her own way. It turned out that to be a very good thing that I stopped being my own stubborn self and let Starla have her way. Puffed corn snacks (Mike-Sells Puff Corn Delites, Natural White Chedder Cheetos, etc.) Many, many bags. I even rated them on my blog.